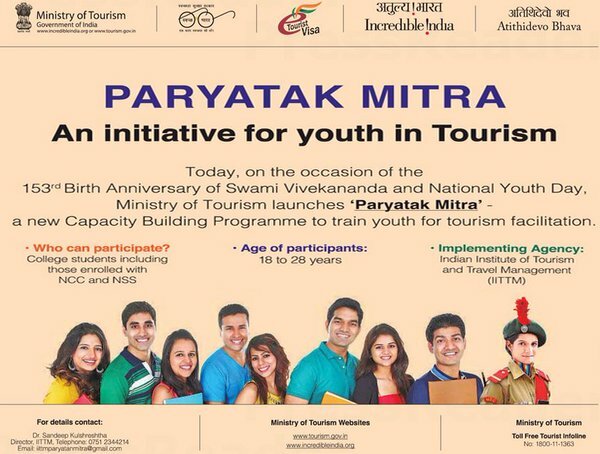 Parytak Mitra Scheme was launched byMinistry of Tourismon the occasion of “National Youth Day” to mark the Birth Anniversary of Swami Vivekanand today in order to improve the sectoral service standards, which is one of the pre-requisites for attracting tourists in larger numbers. 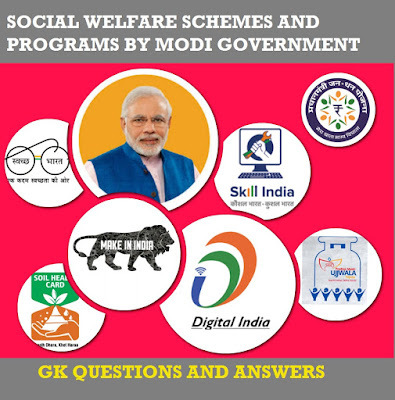 Objective: The primary objectives of the programme will be to eventually achieve an improved tourist specific service ambience and to further the Swachh Bharat Abhiyaan. Target Group- It will target college-going students including those enrolled with the NCC& NSS, in the age group of 18-28 years. Each course will be of 10 days duration. 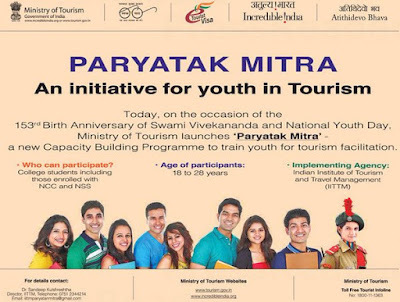 The programme will be implemented by the Indian Institute of Tourism & Travel Management, first at destinations identified under the PRASAD scheme of the Ministry of Tourism.